Tom explains his philosophy of painting and perspective of the world. From his intimate relationship with the material of art, to finding the essence of landscapes in their silence. Tom Hausken was born in Minneapolis Minnesota and currently lives in the Ahtanum Valley in Central Washington State. Proud to announce our featured speaker for this Thursday: Tom Hausken was born in Minneapolis Minnesota and currently lives in the Ahtanum Valley in Central Washington State. Mr. Hausken is a graduate of Seattle Pacific University (1985) and continued his studies in drawing and painting at the University of Washington (1987) Mr. Hausken is currently the Artist in Residence at the Yakima Valley Museum. 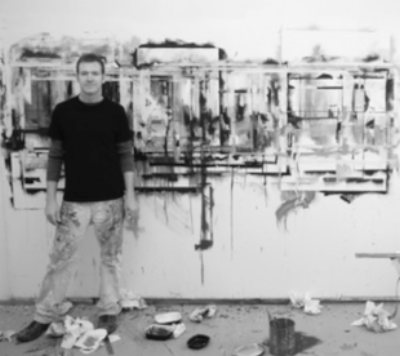 He has twice received Full Fellowship Residencies at the Vermont Studio Center, the Clowes Fellowship in 2010 and the Pollock W Krasner Fellowship 2016. His work can be found in numerous public and private collections.